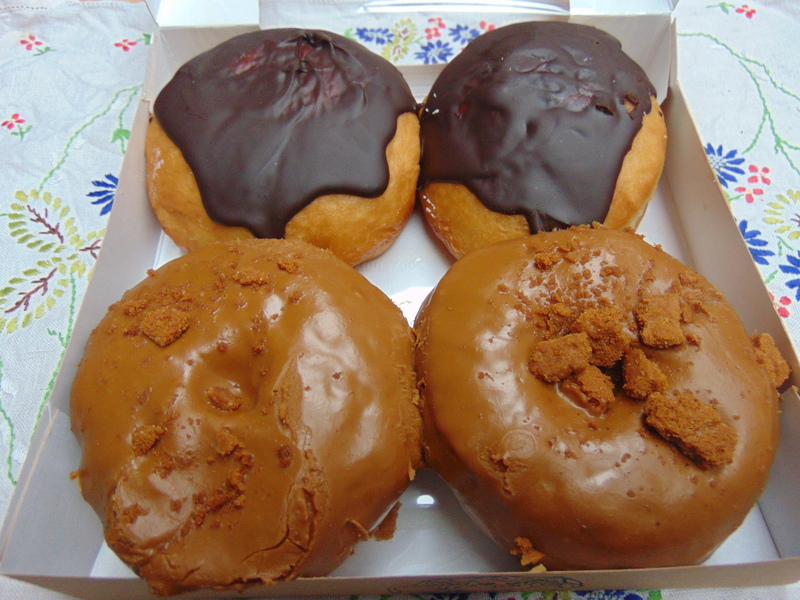 Oh, you thought I’d already told you all about the vegan donut scene in Prague? You don’t know the half of it! Alongside the vegan options at Donut Shop, we also have the entirely plant-based Blue Vegan Pig to cover all donut needs. Truthfully, the donuts aren’t quite as light as the ones in Donut Shop, but the flavours are far superior. Blue Vegan Pig specialises in donuts and generally has at least 5 options, plus a few other baked goods. Regular readers will be unsurprised to learn that I only have eyes for the donuts though. 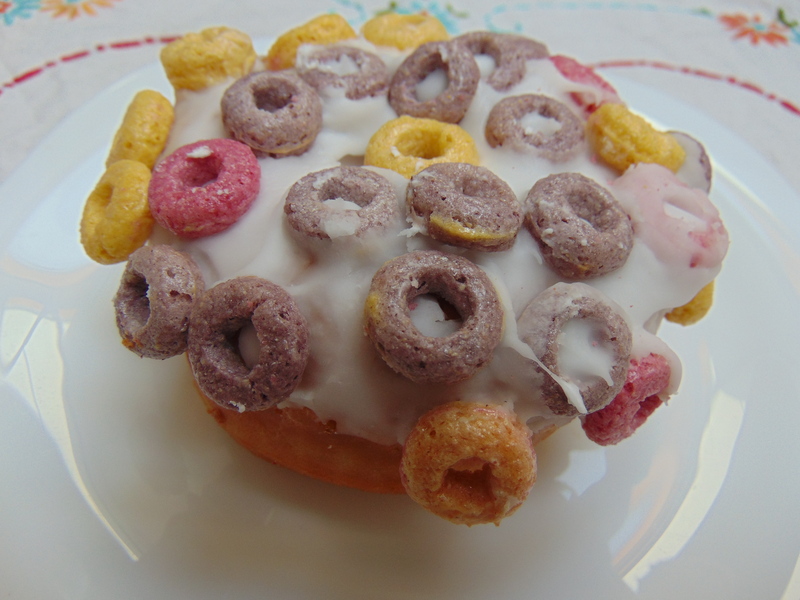 This exciting-looking concoction is the breakfast donut: a ring donut dotted with fruity loops and filled with custard and jam. I think it would actually be better without the cereal on top, though it does look colourful. And I’m not too happy about the distribution of the filling – I halved this with Dr HH, and my side had no custard inside, only jam. How unfair! 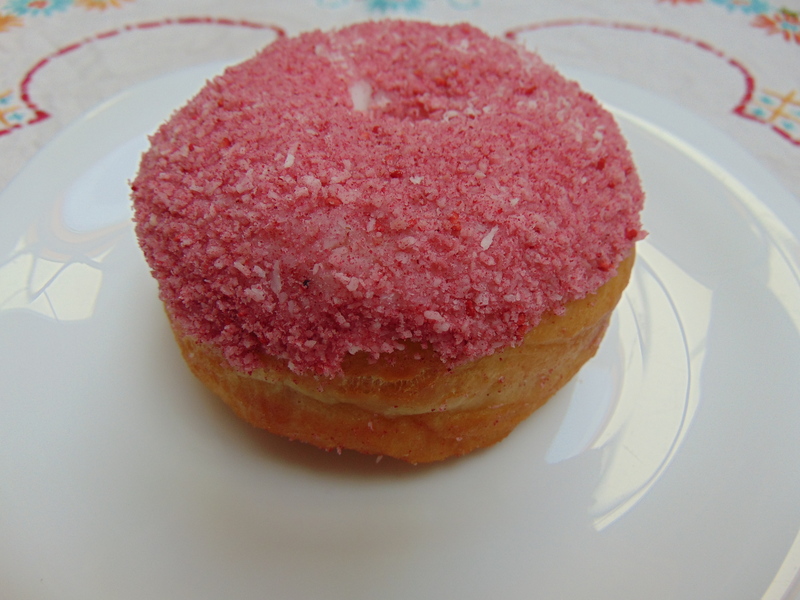 The coconut raspberry one is much less controversial, as it has no filling and is well-covered. I prefer nutty and chocolatey flavours, so this fruity one wasn’t my favourite, but it was really nice. You can probably guess, then, that I love the peanut and chocolate one. 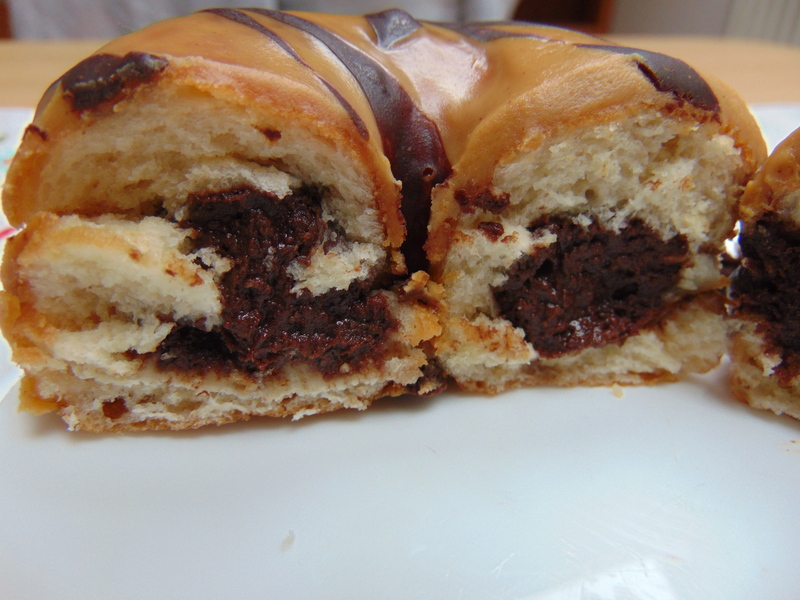 It’s a Snickers bar in donut form – and the ring is filled too! 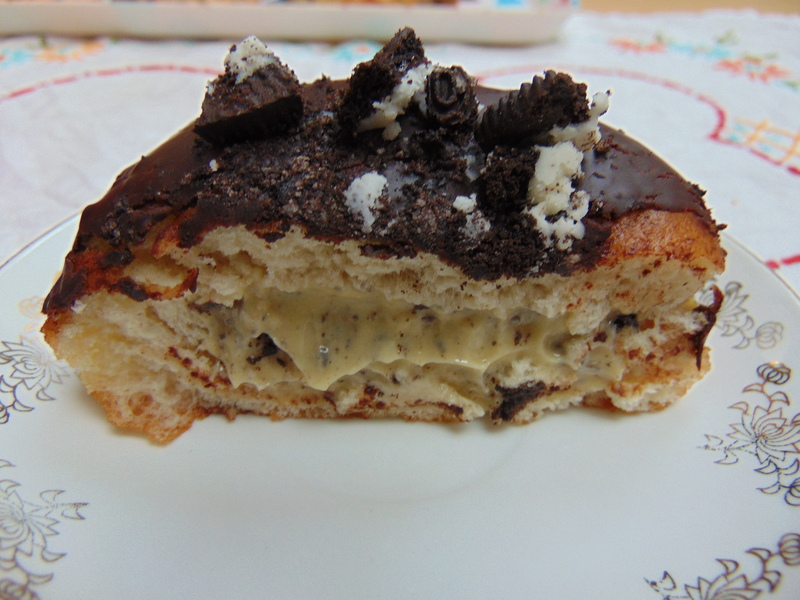 And the Oreo-stuffed one is also a winner, filled with a thick custard and Oreo crumbs. What more is there to say? It’s truly majestic. The speculoos ones are probably my absolute favourites, just because I love that flavour. The crushed biscuits on top add a nice bit of texture too. The chocolate ones in the background aren’t too shabby, either – they’re filled with cream. I frequently have to pinch myself to make sure I’m not just dreaming up this incredibly donut situation I’m in. Vegan donuts forever! Have vegan donuts taken over your world as well? Which flavour would you try? 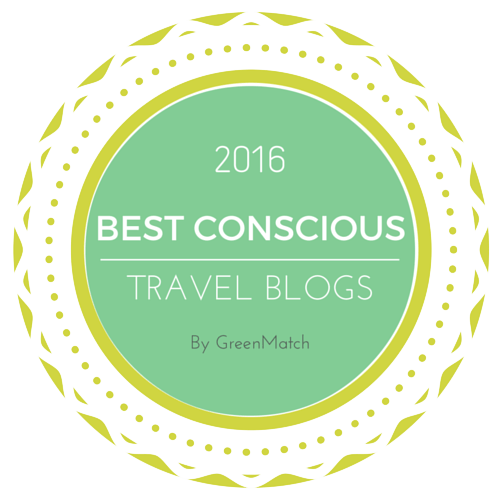 This entry was posted in Travel and tagged Blue Vegan Pig Prague, vegan donuts, vegan Prague, vegan travel. Bookmark the permalink. That is devastating! It does sound like a trip to Prague is necessary! So many donuts! I’m pretty sure I’d be a fan of the peanut & chocolate one, and the Oreo-stuffed one, too! Excellent choices! The custardy filling in the Oreo one is exceptional. Oh man! These look so tasty! The oreo one is having me cry! The Whole Foods near me use to make cookies and creme (aka oreos) filled donuts, but they mysteriously disappeared and were replace with plain old jam. Fortunately this place is at the bottom of a hill, so by the time I’ve hauled myself up it back home I feel like I’ve earned a donut! I really hate jam, so that Whole Foods switch sounds very disturbing to me! 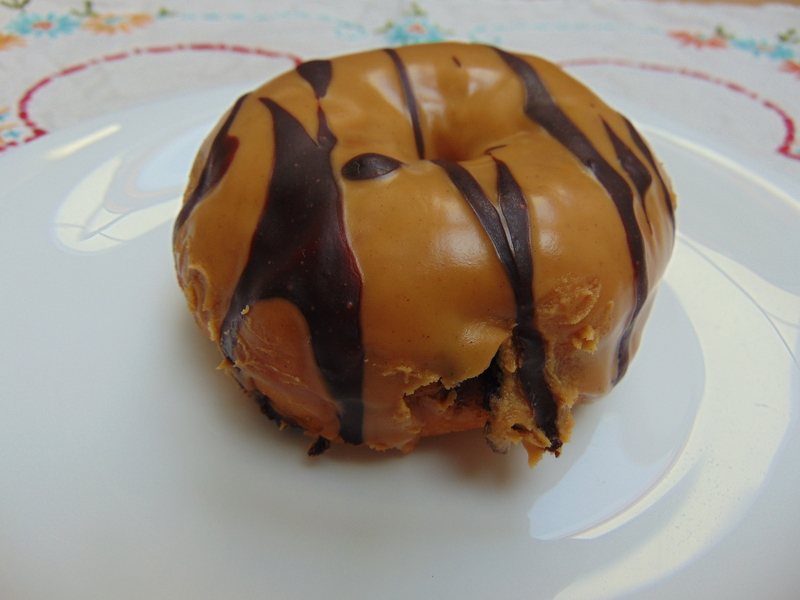 I love the amount of incredible vegan donuts there are out in the world right now. 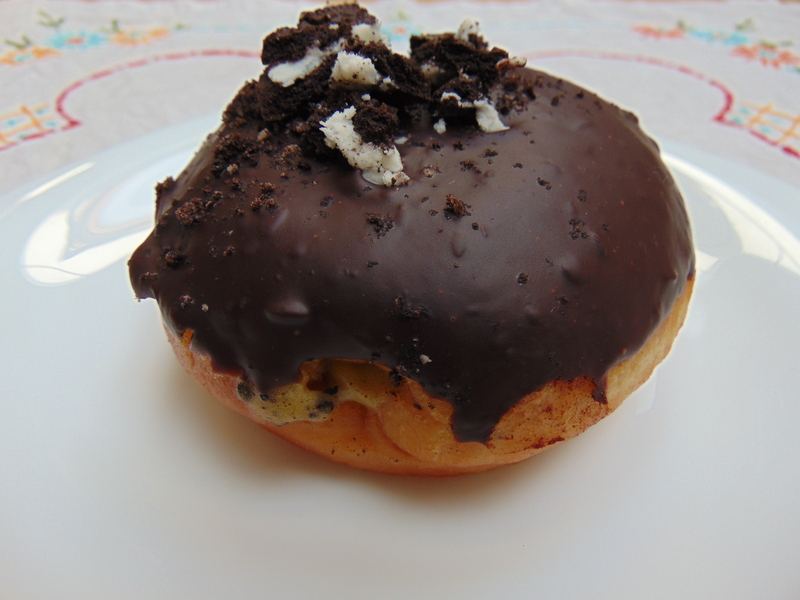 I have a deep love for filled donuts in particular, so it’s the Oreo one for me please! Good choice! I was wondering when I was writing this if the vegan donut thing is just going to be a passing trend. I hope they’re here to stay!